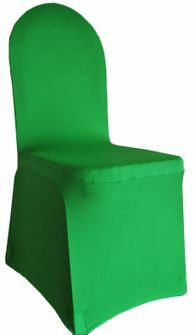 Spandex Stretch Chair Covers, Lycra Chair CoverFree Shipping over $150 - US 48 Contiguous States! $9.98 Flat Rate Under $150 - US 48 Contiguous States! High quality spandex chair covers, stretch banquet chair cover, Lycra Chair Covers. Spandex banquet chair cover made from a high quality Heavy duty stretch spandex material. Our spandex chair covers Stretches 4 ways, flexible on the size. Spandex stretch banquet chair covers are perfect for standard banquet chairs, chair decoration, Wedding, parties, celebrations and all special events. Spandex chair covers fit on Chivari Chairs and all style banquet chairs.